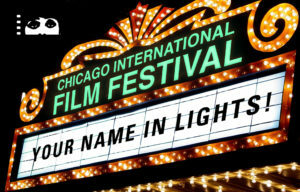 So You Want To See Your Name In Lights?! Imagine your name in lights. What media outlet is on your bucket list? Whatever it is, you probably realize that the odds of getting an out-of-the-blue invite to join Anderson Cooper in the Green Room are slim…at least right now. That doesn’t mean your media dreams are always going to be out of reach, though. One snapshot of Marie Forleo hanging out with Oprah Winfrey is enough to prove that the national media is a goal worth pursuing. The only question is how do you get there? Just as you didn’t start out charging premium rates for your products or services, your pursuit of media attention won’t likely begin at the top either. Instead, concentrate on small, local publications. Weekly newspapers, regional magazines, local news channels are all looking for experts they can interview and quote. Even better (for you, anyway) it’s tough for a local market to attract the attention of national celebrities. Is Dr. Phil going to appear on the morning show in La Porte, Indiana or Marquette, Michigan? Not likely. But you can. Not only do these smaller outlets offer you an opportunity to share your message, but they also give you the chance to build your media chops. Here’s another critical reason to aim for these smaller markets: appearing in the media is a skill that must be nurtured. Just as you played endless scales to learn the piano, and wrote 1,000 blog posts before you penned a book, interviewing well takes practice, and there’s no better training than small, local outlets. Of course, if your dream is the national stage, there is a more direct route. Always be on the lookout for media outreach opportunities, whether it’s a chance at a regular column in your hometown newspaper, or a sound byte on the national news. The more media exposure you have, the more you will attract, and before you know it, you might just be sharing the stage with Oprah Winfrey! Definitely on my Bucket List! Peace & Blessings beloved. I am Aisha LaDon. I am an Instructional Designer with a background in Brand Design, Graphic Design, Desktop Publishing, Web Design, Instructional Design, UI/UX. I am a bookworm and lover of all things creative and spiritual. Below you will find the articles that I have written here with the team at Crowned For Success. I pray that you find benefit in what we share. I love working with creative, spiritual womenprenuers that are here to inspire change in the world. I specialize in online course design, development, administration, management, and training with WordPress LearnDash and Moodle LMS Life is good, have a blessed day.